At approximately 7:00pm Australian Eastern Standard Time last evening the 6th of December 2018, Roman Leljak arrived aboard an international flight at Sydney International airport, patiently awaiting his arrival Darko Orec from UNDH watched as the minutes then hours ticked away with no Roman in sight. Initially it was thought that Roman may not have even been on the incoming flight, however some investigative work on Darko’s behalf confirmed the “He should wait patiently” or indirectly, that Roman was on the flight but that no affirmative response could be given other than that. 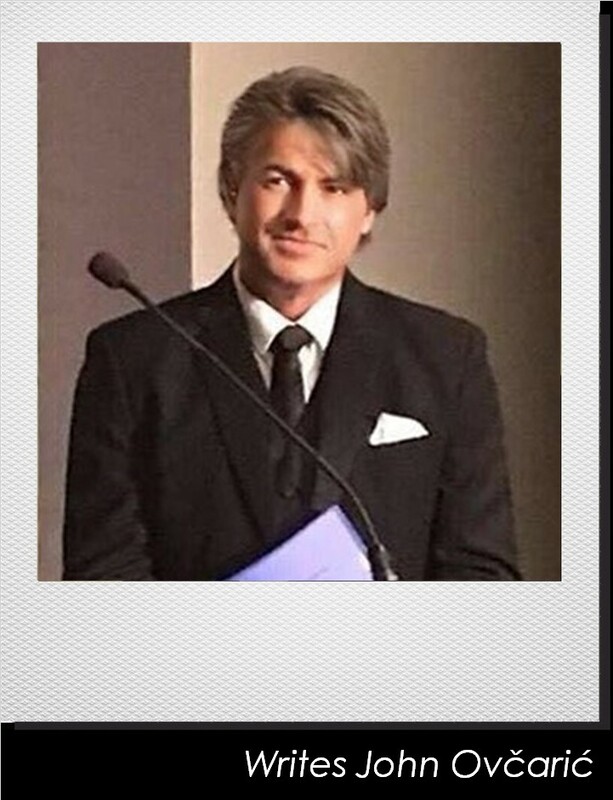 Darko waited until midnight providing airline officials and Federal Police with photographs of Roman and his contact details should Roman eventually emerge, at this stage Roman had not contacted any contacts here in Australia as to his plight. Shortly after midnight however he finally did advising key contact here via quick message bursts and even shorter phone conversations of his plight and that he had been detained by Australian Immigration officers. He was also accused of historical revisionism, hate speech, and of having an undeclared criminal conviction which he fervently denied stating that any attempted litigation cases served against him had never eventuated in prosecution and he had no subsequent criminal convictions either actual or pending. Sometime around midnight, he was transported to Villawood Detention Centre, relieved of all his personal effects and spent the night under lock and key. He was advised that he would be placed on the first available flight today, as I write this furious attempts are being made through diplomatic channels here in Australia to intervene even though we are aware that on this occasion Leljak traveled under his Slovenian passport but as a guest of the Australian Croatian Community. Leljak has now had to pay for this flight himself from available funds he had on his person in addition to losing the value paid on his original scheduled departing flight which was scheduled for next week. While Leljak was being interrogated, Igor Vukic was inbound via Singapore, his last stop before Australian soil, and due to land at 7:00am this morning. Phone calls between a group of us continued into the late morning hours of today awaiting both further word from Roman and also awaiting what would happen with Igor once his flight arrived, it was decided to refrain from issuing any broadcast of events until we were certain of Igor’s movements and safe arrival. Which was used by Josip Broz Tito and his henchman in copious numbers of communicates issued at the time of the Bleiberg Repatriations. These words are etched into many documents uncovered or promoted by the aforementioned in their crusade to expose the treachery of the war era communist criminals and which was used subsequently for decades thereafter in the regimes fight against Croatian Nationalism in the Diaspora. This phrase was used as a chest beating closing remark on countless documents which are now coming to light particularly due to the work of Leljak, the same documents that boosted regarding the number of surrendered NDH soldiers, and civilian men women and children had been detained and had been subsequently murdered and disposed of in mass graves by Tito’s communists post May 1945. We are aware that Sedlar was never intercepted by Australian authorities with regard to Visa cancellation, he rather was denied travel based on the visa he held being assigned to an outdated passport and not applicable to his renewed passport had he actually traveled to Australia, we can only speculate that he also would have suffered the same indignities as Roman. Several questions now arise as a result of these recent events, and most likely, future events of a similar nature. 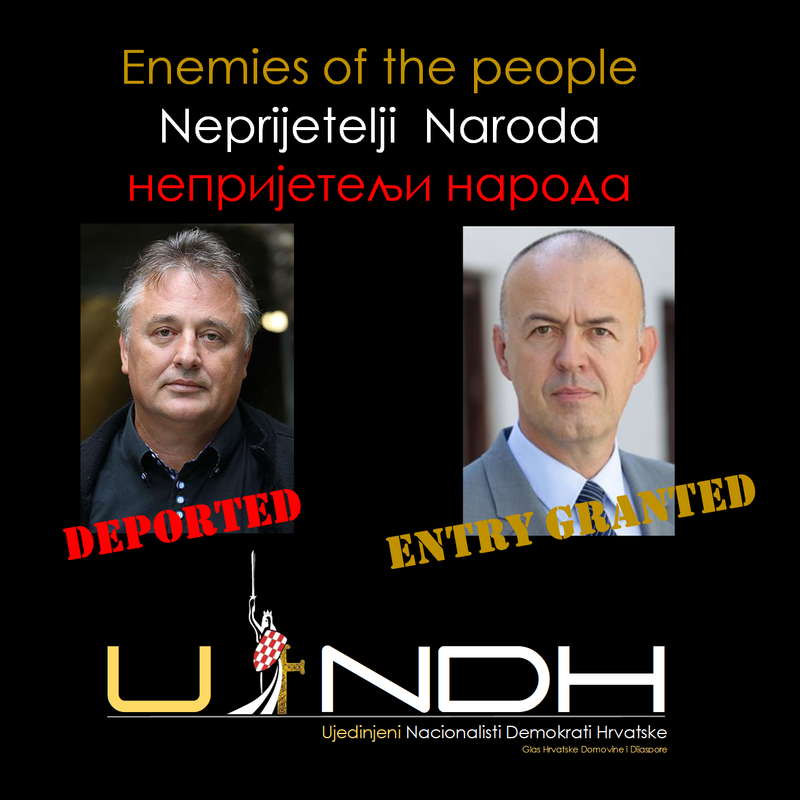 #1 Will we sit back and allow the freedoms afforded, not only Croatian citizens, but Croatian Champions for truth and Lustration to be treated with contempt when visiting this country at the invitation and support of the Australian Croatian Community? #3 If Australian Immigration officers did contact Croatian Consulate staff, then what was undertaken to delay deportation and what diplomatic channels did they attempt to access? #4 As an ethnic minority within Australia, but also Australian citizens who have the right to challenge or make inquiry through legal process, are we to be discriminated against when making such and given token references to Departmental guidelines for visa cancellation reasons only? #5 What is the vetting process undertaken by the Department with regard to Border Security submissions by the anonymous general public particularly when such has been lodged outside of this country? #6 The Republic of Croatia’s Presidential Diasporan Advisory Committee in Australia have a vested interest and responsibility to act on behalf of the Croatian community here and there concerns. I have proof that official correspondence regarding the Bujanec incident was forwarded to them at the time of his cancellation but am not aware of any subsequent action. Will they, who have not been formally elected by the Croatian Diasporan Community through ballot, but rather through Presidential selection or nomination, now respond and act to inform the Republic of these occurrences, submit protest and seek clarification on the Republics stance on these matters? This Savez replaced the retired “Između Društveni Odbor” that previously existed. Considering these recent events, and also, therefore with regard to the most recent accusations of impropriety within Croatian clubs and organisation in the ACT and Queensland, what is being done to address these situations in the interests of the Croatian Community by this representative body? #8 Will you the reader challenge the intentions of the Republics Government with regard to their token announcements of greater consideration of their Diasporan constituents and throw away declarations of building bridges of closer understanding and relations in light of their inaction regarding this and other events? #9 What are our Croatian diplomatic corp in Australia doing to address these concerns? We know they read and follow not only sites such as this but also attend events where such visitors speak. #10 Bujanec, (Sedlar) and Leljak are current casualties, it is entirely possible that this will escalate in the future to snare an even greater number of people. This being so, these people of note and integrity are now marked and may be excluded from any further entry into this country, and others, as a result of their visa’s being revoked. This being the case, they now face the prospect that their names and reputations have been ultimately smeared and tarnished due to fabrications and untruths. Will the Republic of Croatia make declaration that the accusations against them are unfounded, untested, uncontested and as such these accusations contravene their human rights along with their right to freedom of speech as citizens of the Republic of Croatia? If not, then should we now question once and for all the legitimacy and intent of not only our elected officials but also the legitimacy of democratic process and freedoms within the Republic. While we don’t know at this stage why Leljak was detained and deported, and Vukic was not, it is difficult to comment, we must keep in mind however that one of the stated factors used against Leljak was that he had been convicted of crimes and that these had not been declared, much the same as Bujanec, on the other hand Igor has never been convicted of any crimes. As additional information arises in the coming hours and days, UNDH undertake to release further details and news of efforts undertaken. As a group, we promise to pursue this and other matters through channels outside of social media, we have turned and hope that this cyber community joins us. In the meanwhile, we call on all Croatian Australian citizens to use this opportunity to protest in number by attending one of the scheduled events which will continue irrespective of current events so as we can send not only a clear message of support to our many Champions for truth such as Leljak and Bujanec, but to the Republics Government, and more so, to the enemies of Croatia both within the Republic and outside its borders. ← The Assassin’s Trail – The attempt to assassinate Velimir Bujanec ! It seems that you have raised more legitamet concerns and questions than most members of the U N D H can process in this complex situation in persuit of truth. Thank you for your writings. Spot on, however its complex for a lot of people to understand. What is needed is a demonstration by croatian australians … set up own Croatian lustration office. And yes, in order to Lustrate our past, rehabilitate that which is unjust, and heal as a culture, country and people, we need to connect with every element of that past be it good, bad or indifferent. An office for Lustration, a Croatian Holocaust museum, a united movement are all needed.